The power of the internet of things comes from extracting and mining process, business and customer data that are locked inside devices, machines and infrastructure. The results can boost productivity, lower costs and uncover new business opportunities. IoT data repositories in most enterprises are siloed, depriving the enterprise of valuable insights that can be gleaned by mining broader data pools of contextual IoT data, such as location, users, devices and applications. However, with proper lifecycle cycle governance, this data can be safely and securely shared and that’s when the real benefits of IoT can be reaped. The answers enable us to find and to be found. They let us navigate sites to reach machines and destinations, and let first responders find mustering points and occupants. Location-based services also let us find capital assets and inventory. 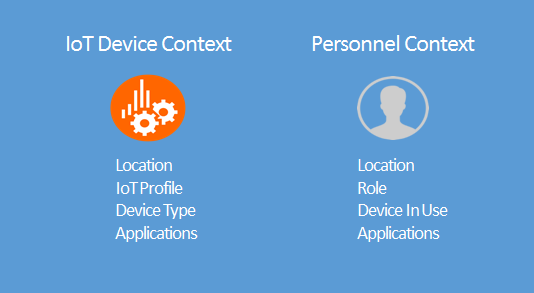 Figure 2 shows the many types of IoT location solutions, and the most applicable one(s) will vary by application. There is no such thing as a one-size-fits-all location solution. Sports arenas, shopping malls, airports, campuses, logistics yards, hospitals and industrial sites are often very large and difficult to navigate. If someone is delayed or lost traversing the facility, the consequences can range in severity from lost revenue or time to loss of life. Employees, guests, contractors, public safety officers and visitors can all benefit when a self-navigation solution — commonly called “wayfinding” — delivers them to their destinations quickly and unassisted. Contextual data generated along the way — presence, frequency of travel, recency of a visit, dwell time — contain meaningful, business-relevant information. For example, these data can identify areas in need of maintenance due to wear and tear, optimize rent based on traffic levels, and adjust HVAC systems based on occupancy. The more extensively a wayfinding system is deployed, the wider and deeper the insights that can be mined. Beacons use Bluetooth Low Energy to trigger an app when the device comes within range. Beacon range is typically adjustable. 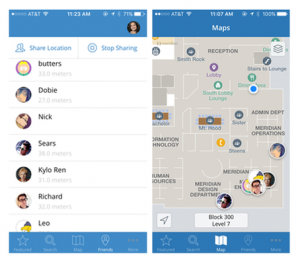 The Wayfinding application updates its location with help from the beacons and the cloud service, which can push messages back to the app for marketing and safety purposes. Beacons can typically be managed via the cloud service, through which battery levels can be read and beacon range adjusted. Wayfinding enables contractors, auditors, visitors and guests to navigate sites without assistance, conserving operational and administrative resources. Upon arriving at the target destination, additional information can be recalled/displayed about machines or points of interest: user’s guides, nearby hazardous materials even local services like restaurants. 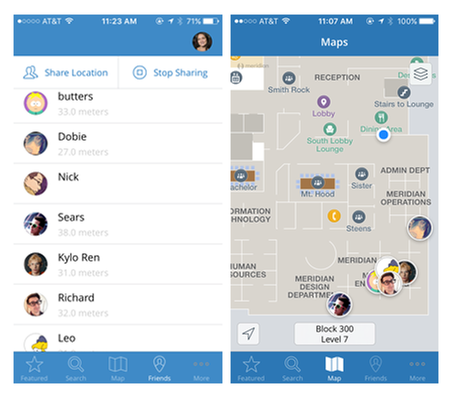 “Buddy systems” enable a pair or team of individuals to find one another’s location. Typically deployed to improve safety and productivity, buddy systems identify one’s location to authorized users without any manual intervention on the part of person being observed. That characteristic makes buddy systems ideal for monitoring staff in areas without direct line-of-sight visibility — hospitals, big box retailers, logistics yards, transportation facilities and manufacturing plants. The systems can also be used by first responders to identify occupied areas without searching the site, a time-saving feature in the event of a fire or siege. Buddy systems use the same components as wayfinding systems, and are active so long as cellular or Wi-Fi connectivity is available. To preserve privacy and site security, location data are shared only for a specific site among those who have mutually opted into the system. Users are shown on a digital map together with directions to their exact locations. 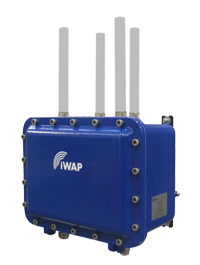 The systems work underground, in buildings, and in and around industrial plants — all locations in which GPS would typically be unavailable to support traditional mapping applications. Another way to track people is via presence detection. Presence is determined by trilaterating the x/y location of a Wi-Fi-enabled device like a smartphone, tablet or Wi-Fi tag. Location can be calculated from service requests that Wi-Fi devices periodically broadcast and from periodic pings broadcast by Wi-Fi tags. Presence can show when a room or area is occupied, how many people are walking by versus thru an area, dwell times and the recency, frequency and timing of visits. Trilateration can also be applied to tracking capital assets like forklifts, pallets, chemical reactor vessels and wheelchairs. Machines that use Wi-Fi as a secure backhaul for data communications — barcode scanners, mobile point-of-sale tablets, heart rate monitors, mobile voice over IP phones — can all be tracked using trilateration. Pallets, wheelchairs and other assets that lack built-in Wi-Fi can be fitted with Wi-Fi location tags. Widely used in healthcare, manufacturing and safety applications, tags are available in many different forms including with intrinsically safe packaging for use in explosive environments. Tags are very adaptable: they can be strapped to newborn infants, worn on a belt loop by contractors and even embedded inside other devices. Tags provide a simple and easily deployed means of locating things across a broad range of use cases. Unlocking siloed contextual IoT data helps businesses transform data into actions that improve efficiency, productivity and customer/employee experiences. Location data in particular are rich with insights that can be fed to analytics, machine learning and business intelligence applications. By boosting the productivity of human and capital assets, IoT location-based services can drive new business opportunities. In doing so, these services help unlock the true potential of the internet of things.